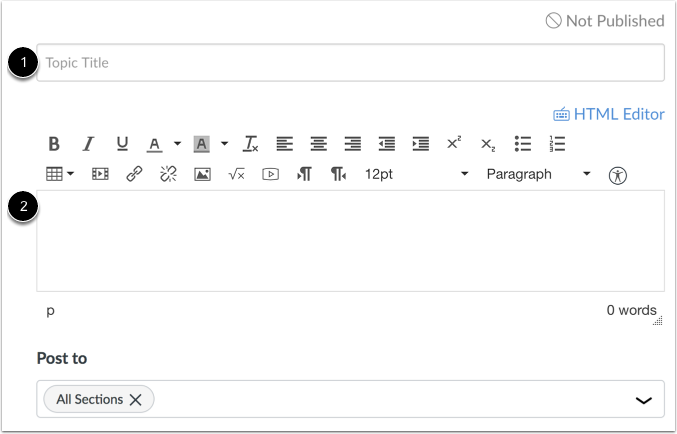 You can delay posting a discussion topic until a specific date by changing a setting in your discussion. This lesson shows how to set posting dates, also referred to as availability dates, for non-graded discussions. Note: In graded discussions, the availability date fields shown in this lesson do not apply. Graded discussions include separate availability dates that are set when assigning a discussion to specific course users. To make your discussion available on a specific date or during a specific date range, enter the dates in the Available From and Until fields, or click the calendar icons to select dates. You are not required to enter dates in both of these fields, so if you want to delay your posting but do want your post to appear indefinitely, you can leave the Until field blank. 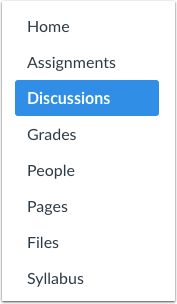 Note: These fields only apply for non-graded discussions; If you create a graded discussion, these date fields do not apply. Students do not have access to locked discussions until the availability date. They will not see locked discussions on the Discussions Index Page. Previous Topic:How do I edit a discussion in a course? Next Topic:How do I move or reorder a discussion in a course? Table of Contents > Discussions > How do I delay posting a discussion until a specified date in a course?